Customers are the most important element in any business, and many retailers recognise the value of knowing what products regular customers are buying. By knowing what each customer wants the modern shop manager can target new items effectively, and ensure that the stock profile in-store continues to attract business. 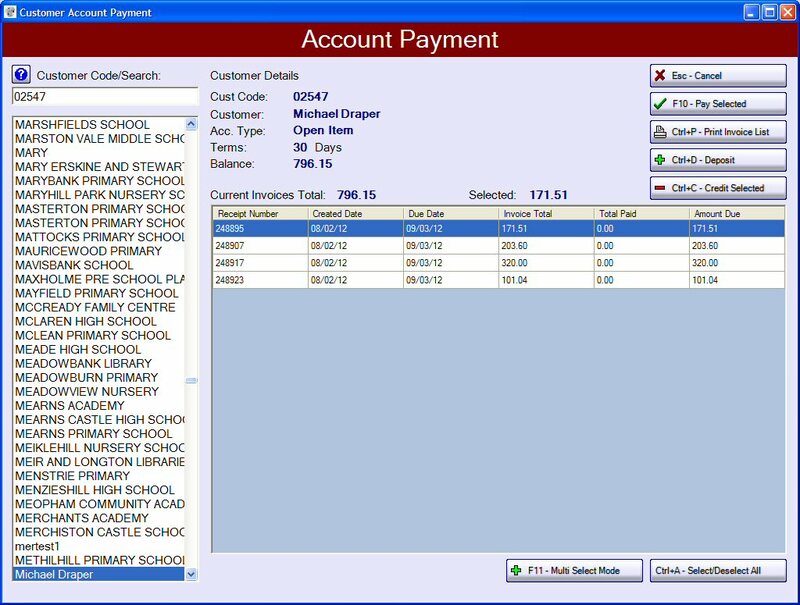 Merlio's Customer Accounts Module is a flexible tool that helps the retailer to sell more goods - try running a Christmas Club, taking payments in advance and tracking customers deposits and spends. Record preferences and buying habits; and email customers when a new item that will interest them comes in. The uses are limited only by your imagination. Merlio's Customer Accounts facility is a self-contained Sales Ledger, which allows you to track aged debt, produce invoices, credit notes and statements. Merlio will provide information on slow payers; and helps you to ensure that your business accounts are professionally managed. Merlio will also export data to Sage Accounts.